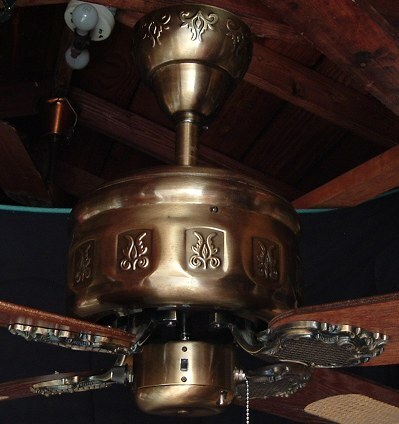 Moss Emperor ceiling fan model MP52 series from the early to mid 1980s. Made in Hong Kong by CEC Electrical Manufacturing Company, sold and distributed by Moss Manufacturing in Ft. Lauderdale Florida. 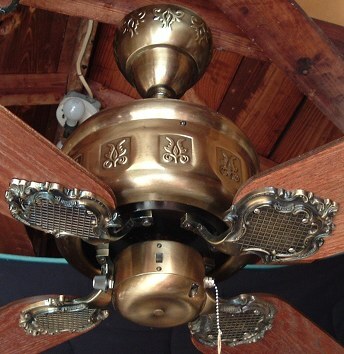 This ceiling fan has a on/off pull chain, forward/reverse switch and a variable speed control. 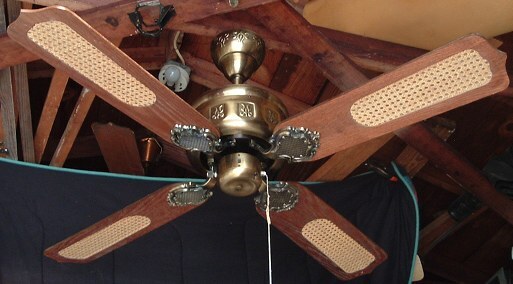 Many Asian factories, made ceiling fans like this in the early to mid 1980s. In the 1990s this design was also popular, companies like Crest which distributed ceiling fans for Home Depot also marketed cheap versions of this fan.